A new addition to our wedding décor range for 2018 is this stunning rustic wooden backdrop, which arrives with our 7ft wooden heart and rustic heart shaped light box to complete our rustic theme. Our range of rustic products are perfect for anyone looking to plan an outdoors or natural themed wedding or event. 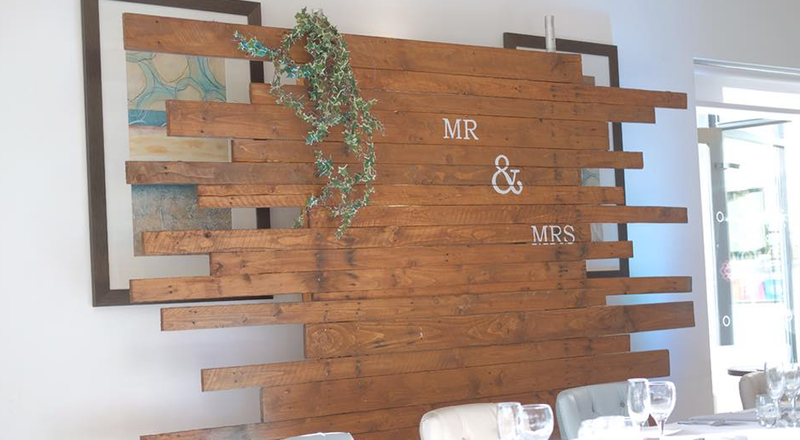 Our rustic backdrop measures up at 2 metres tall and 2.6 metres making it the stunning focal point your wedding needs. Our backdrop is usually used behind the top table but can even be placed behind a DJ. Floral decorations can be added on to the wooden backdrop to really bring it to life. We used a very simple venue-friendly pipe and base system to support our wooden backdrop meaning you and your venue won’t have to worry about any unsightly or damaging fittings or fixing being used to install our backdrop. We have completed numerous wedding setups for a variety of marquees, clubs, barns, hotels, castles and outdoor events. Our team can install our rustic backdrop very quickly and efficiently. The backdrop is built in two sections and is simply attached to our pipe and base system. 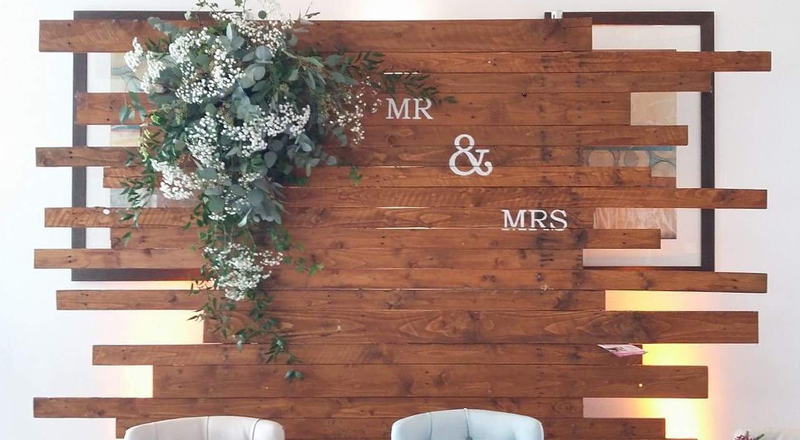 Here at Solid State UK we pride ourselves in our very personal customer service, we are more than happy to visit your chosen venue where your wedding or event is set to take place and advise you on exactly where we feel the rustic backdrop will create the best look and explain the benefits and how this will add to the occasion. Our rustic backdrop is available for hire at an affordable rate throughout London, Birmingham & Northampton as long as the rest of the United Kingdom. We also can offer mood lighting in any colour to add a little something extra to your event, whilst keeping the colour scheme or theme consistent throughout your big day.